While the skin care industry in the United Kingdom (UK) is saturated with glamorous spas, fluffy robes, catchy product names and distracting packaging, Dermalogica UK outstands by promoting fundamental skin health. A marketing audit of the company would demonstrate how a niche brand fulfils consumers’ need for something original and different to the many corporate mass-market offerings. This report first looks at the background of Dermalogica UK, and then goes deep into its marketing mix, followed by a thorough analysis of the external and internal marketing environments. In 1983, Jane and Raymond Wurwand established the International Dermal Institute (IDI) in Los Angeles, a training facility for professional skin therapists. Dermalogica skin care products were introduced three years later. With a name itself implying professionalism, Dermalogica aimed to harness science and nature to devise innovative and effective formulations. The decision to ban known irritants from all products turned it into the number one choice for skincare professionals and the most requested worldwide (Brand Republic, 2007), with products merchandised in more than 40 countries. Like subsidiaries in Germany, Australia and Canada, Dermalogica UK incorporated in 1998 is a limited and privately-owned company still under direction by the founders. There are six training centres over the country providing IDI skin and body therapy curriculum. And while being stocked exclusively in authorized salons and spas, the Dermalogica products are now also displayed in the two concept stores in Kensington and Shepherds Bush where other treatment services are available. In the latest company report by FAME (2010), Dermalogica UK’s number of employees has increased from an initial 50 to 281, and a steady growth in the financial performance has also been observed in recent years despite the economic downturn (as shown in Appendix A). Dermalogica UK sets apart from its competitors by emphasizing on innovation, education and information. “Our strategy is to provide skincare education for consumers,” says Jane Wurwand. According to the founder, their targeting segments are “consumers who want products and treatments that really work” (Wurwand, 2007: 11). These include people of both sexes and different age groups. An overview of the company’s positioning strategies is given in the following paragraphs referring to the “four Ps”: product, place, promotion, and price. All Dermalogica skin care products are developed by the lDI, which is constantly researching new ingredients, techniques and trends. Manufacture takes place in Southern California close to the company’s headquarter, which allows maintainability of a superior quality standard. Although every batch is monitored for absolute purity, avoiding comedogenic and known allergens, no products are animal-tested. The products are assorted into groups to address specific skin concerns. Face Mapping® analysis is used to analyze consumers’ skin, zone-by-zone, to diagnose their skin condition and prescribe subsequent products for results. In addition to the pre-existing ranges, the Shave collection was launched in 2007, declaring the company’s ambition to set foot in the booming male grooming market (Evans, 2007). MediBac and Age Smart were introduced later, dedicated for adult acne treatment and anti-ageing respectively (Brown, 2007). Younger consumers are not left out. In 2009 Dermalogica developed Clean Start, a new brand for teenagers and preteens. This youth oriented effort is to establish brand loyalty at an early age and ready the consumers for adult solutions once necessary (Brown, 2009). In terms of packaging, although most products posses a simple grey-and-white appearance reinforcing a professional image, new lines adopt different colour contrasts or highlights, making their purposes obvious to consumers (as shown in Appendix B). Furthermore, with the brand’s commitment to environmental protection, all packaging and shipping containers are now either recyclable, photodegradable or biodegradable. 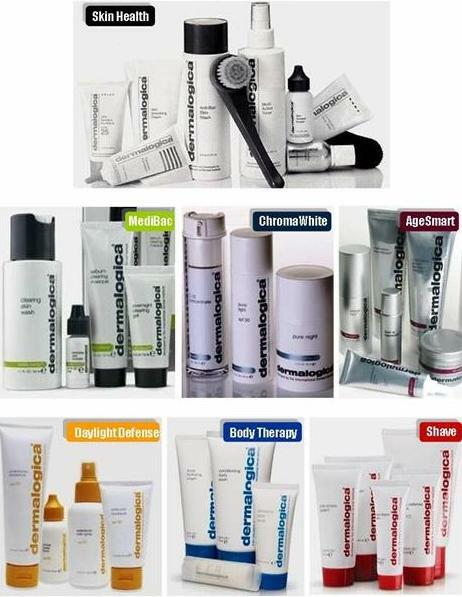 Dermalogica’s products are sold via consultants rather than directly off the shelf, never in department stores, highstreet retailers, through infomercials or TV shopping channels. This tightly controlled distribution is to secure the brand’s position as “the professionals’ choice”. The company clashed with Boots about un-permitted selling in 2009. Glenn Poy, general manager for Dermalogica UK explained why they turned down Boots’ repeated requests to become an authorised stockist by frankly saying that such collaboration could “damage the brand” (Golding, 2009: 1). It is declared by the company that without the assistance of a professional therapist, consumers may select the wrong products and fail to reach the desired skin health results. Additionally, Mintel (2007) highlights that people are more comfortable paying higher prices when purchasing products from a salon, particularly if consultants and advice offered are sincere and trustworthy. Dermalogica relies on the internet to offer education, skincare advice, and information on the product range and more, especially for reaching the prospects not living within easy access of its limited distribution. 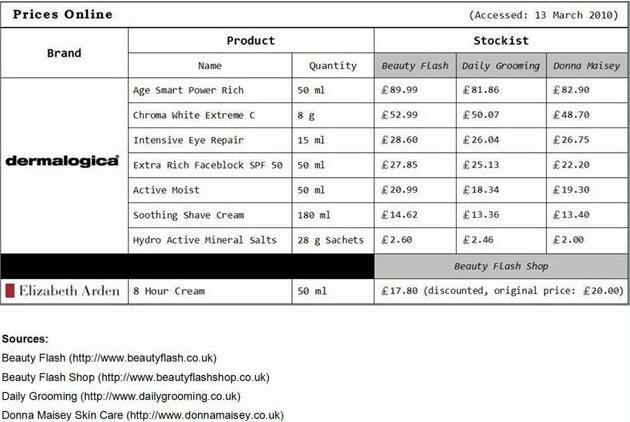 Online purchase is not offered on the official website, but there are several authorized online retailers, such as Beauty Flash, Daily Grooming, and Donna Maisey Skin Care, only to name a few. It is worth knowing that even in this insubstantial world, the firm protects its premium status warily by licensing only dedicated online stockists, avoiding juxtaposition with other brands. Recognizing that blatant persuasion pressures customers, Dermalogica UK sells their products quietly under the cover of education. Its personal selling is superb with the IDI serving as the cradle for well-trained skin therapists who automatically become the company’s powerful salesforce once entering the market. Mass selling, on the other hand, is largely the result of press coverage and word-of-mouth recommendations, a refreshing marketing approach that has won Dermalogica experts’ endorsement and a cult following amongst make-up artists and celebrities (Brand Republic, 2007). New products are continuously awarded by the beauty media, the latest honour being the 2010 InStyle Best Beauty Buys. The information technology (IT) resources are well exploited. The company’s website is designed for not only general consumers but also skin care experts by offering professional information which could only be viewed after registration. Dermalogica UK began to target the consumer with online promotions three years ago, offering people a free online skin analysis and product samples based on their specific skin needs. Dermalogica iPhone app was introduced in the UK in late 2009, providing a quick and convenient personalized product prescription; more features are under planning including a store locator and a handy directory of the entire product range. Furthermore, there are official Facebook and Twitter accounts of Dermalogica to acquaint the Net Generation with the brand. Philanthropic efforts further polish the company’s public image. The Dermalogica Foundation was established in 1999 to provide charitable contributions to local organizations. 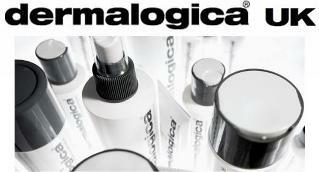 A clear line is drawn by Dermalogica UK from pampering, luxury, or indulgence. However, being a premium producer, it is said to be priced at similar levels to couture-branded products (Euromonitor, 2009a). The extra payment for salon and spa visits makes the brand even more purse-unfriendly. Online prices of selected products are compared in Appendix C, ranging from ￡2 to a jaw-dropping ￡90. Basic moisturizers are sold at around ￡20, while similar products by Elizabeth Arden, a much more well-known premium brand are discounted to ￡17.8 at a sister site. There are slight price differences between retailers, but discounts or allowances are coherently prohibited. The inflexibility indicates that Dermalogica UK has no intension to appeal price-wisely. Mintel’s research (2008) justifies this pricing strategy by indicating that while price is the key determinant of women’s beauty brand choices, many women also admit to buying the best that they can afford. The external environment of European skin care market is summarized in appendixes. 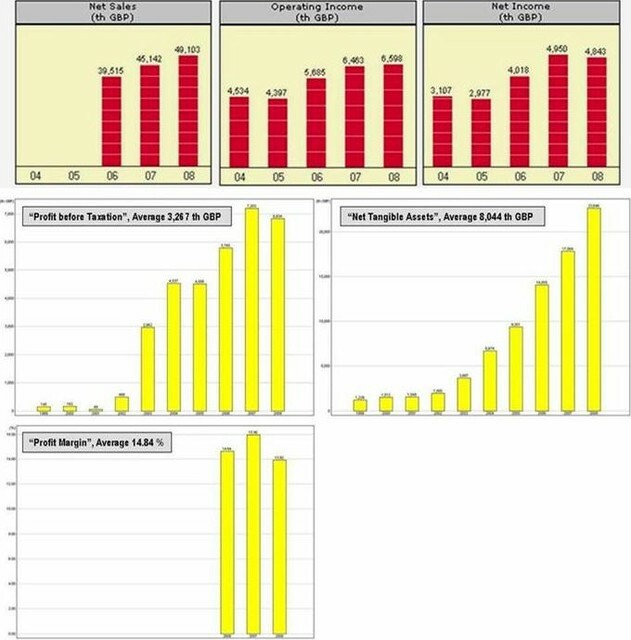 Appendix D consists of figures and tables indicating the economic trends, and Appendix E is a P.E.S.T. analysis looking at the macro-environment. Dermalogica UK’s internal position is studied by using S.W.O.T. analysis. Despite holding consumer education as the company’s ultimate mission, Dermalogica UK is, after all, a for-profit organisation, the primary goal of which is to generate a profit. This trend-savvy company has survived the challenging economic climate and earned a reputation as the professionals’ choice. But in a treacherous marketing environment congested with covetous competitors, continuous efforts have to be made to cement customer loyalty and even win the hearts of new consumers. The battle is never-ending. Brand Republic (2007) Superbrands Case Studies – Dermalogica April 2007 [online]. Available at: http://www.brandrepublic.com/ (Accessed: 20 February 2010). Brown, R (2007) ‘Dermalogica Sets Launches, Improved Formulas’. Women’s Wear Daily, Vol. 194 (18): 13. Brown, R (2009) ‘Dermalogic’s Youth-Oriented Efforts’. Women’s Wear Daily, Vol. 197 (65): 9. Euromonitor (2007) ‘Ubersexual Man the Next Big Thing’ [Online] Available at: http://www.euromonitor.com/ (Accessed: 20 October 2009). Euromonitor (2009a) Cosmetics and Toiletries UK June 2009 [online] Available at: http:// www.euromonitor.com/ (Accessed: 4 March 2010). 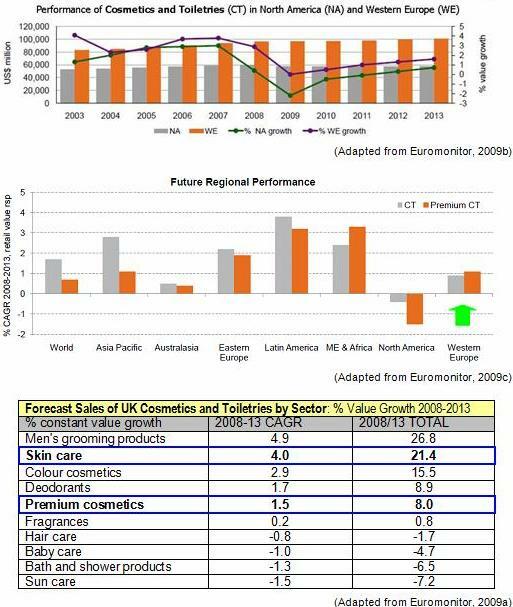 Euromonitor (2009b) Global Cosmetics and Toiletries: Industry Prospects for 2009 and Beyond August 2009 [online] Available at: http:// www.euromonitor.com/ (Accessed: 4 March 2010). Euromonitor (2009c) Global Cosmetics and Toiletries: Exploring Growth Through Novel Beauty and Luxury Concepts June 2009 [online] Available at: http:// www.euromonitor.com/ (Accessed: 4 March 2010). 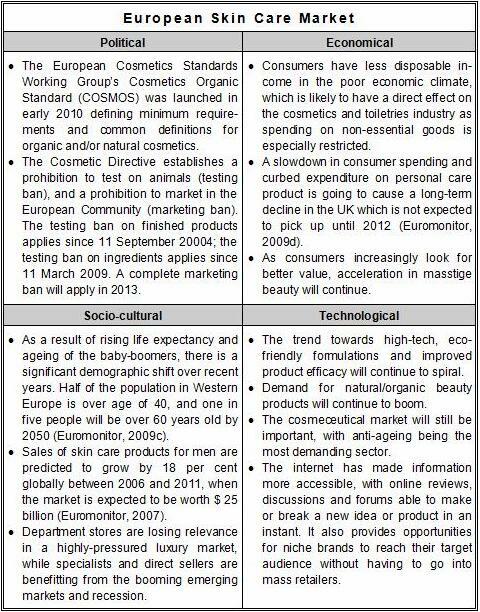 Euromonitor (2009d) Global Cosmetics and Toiletries: The Next Beauty Hot Spot June 2009 [online] Available at: http:// www.euromonitor.com/ (Accessed: 4 March 2010). Evans, M. W. (2007) ‘Dermalogica to Offer Men a Shave’. Women’s Wear Daily, Vol. 194 (73): 16. FAME (2010) Dermalogica (UK) Limited [online]. Available at: http://fame.bvdep.com/ (Accessed: 19 February 2010). Golding, A. (2009) ‘Dermalogica in Boots Spat’. Marketing, 2 September: 1. Mintel (2007) Cosmeceuticals UK July 2007 [online]. London: Mintel. Available at: http://academic.mintel.com/ (Accessed: 31 January 2010). Mintel (2008) Niche Brands, Cosmetics and Toiletries UK November 2008 [online]. London: Mintel. Available at: http://academic.mintel.com/ (Accessed: 30 January 2010). Wurwand, J. (2007) ‘Branding That’s a Bit More Than Skin Deep’. Brand Strategy, Issue 212, May: 11. Though negative impacts have been brought about by the global recession, the prospect of the cosmetics and toiletries industry in Western Europe is positive. A particularly strong growth in premium skin care is predicted in the UK.